December 26th, also known as National Jewish Shopping Day, is an opportunity for Jewish Young Adults all over the globe to enjoy egregious discounts and brag about the amazing bargains they found. Many JYAs will troll the boutiques and high end retailers looking to pick up the latest gadget or cashmere cardigan. But, many will also succumb to a different merchandizing fetish by secretly shopping at Target. JYA’s love gliding across the white linoleum floors of their local Target; scoping out industrial sized cartons of socks, stocking up on college wares, or picking up bargain basement digital cameras. But even though JYAs will readily take advantage of the deals, they will rarely admit they enjoy it. In an effort to keep up appearances and maintain the image of cool nonchalance, JYAs will come up with whatever excuse possible to hide their fetish. For example, female JYA “Jackie” was questioned by her friends about a new blouse she picked up at her local Target in Cherry Hill. Jackie, in an attempt to hide her retail transgression, lied and stated that the shirt was from “some vintage place on the Lower East Side, I don’t remember the name”. Some JYAs will even preempt awkwardness by offering an excuse before they are even questioned. “Sarah”, a JYA from Chicago, was spotted by her crush at the local megastore, and before her crush could even say hello Sarah stated “Ugh, I can’t believe my mom dragged me here. Whatever, as long as we hit up H&M after”. It is important to note that Wal-Mart, Target’s archrival, has not been embraced by the JYA community to the same degree, and is largely avoided. 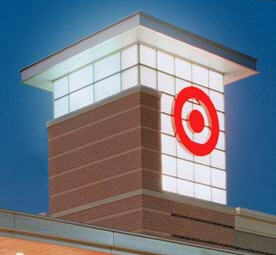 There is heated debate concerning the exact reasons why Target has managed to gain a secret following, and most conclusions have been anecdotal and speculative. Every year around then end of November, Jewish Young Adults find themselves surrounded by what is euphemistic called the “Holiday Season”. This month long event is meant to instill an extra amount of joy and merriment to all, regardless of religion or nationality. For the JYA, it is an opportunity to crash as many Christmas parties as possible. JYAs love attending Christmas parties because it gives them an entertaining taste into the rites and rituals of Non Jews. For some, it is an occasion to practice making out with their Goyish office crush underneath a sprig of Mistletoe. 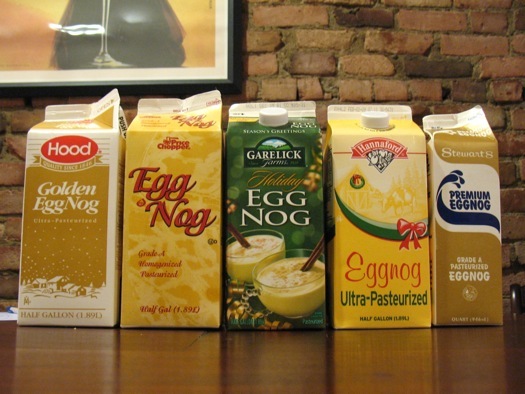 For others, it is a chance to revel in odd culinary treats like Egg Nog. Still others use the Christmas party as a way to poke fun of the quaint fashion statements of their Non-Jewish peers, like thick woolen sweaters with leather elbow pads and prancing reindeer on the sleeves. And there are even those that combine all three Non-Jewish idiosyncrasies into one night, like JYA “Tanya” who was spotted at the Holiday Party for her LA based PR agency stating “I was so drunk on eggnog last night and I was totally going to make out with Chris under the mistletoe but then I realized that he was wearing like a green Santa hat and brown corduroys and I was like, there is no way I am letting some dude who wears pleats put his tongue in my mouth. I was so grossed out”. It is important to note that a JYAs fascination with Christmas Parties is proportional to the concentration of Jews in his/her neighborhood. Meaning, JYAs that live in predominantly Jewish areas display a higher interest in attending Christmas Parties than those who live in areas that are predominately Non-Jewish, probably stemming from the increased novelty effect of interacting with Gentiles. Therefore, it is not uncommon to see Israeli JYAs as the ones who are the most rambunctious and gung-ho about Yuletide affairs, and will frequently be the most drunk at Christmas Parties.